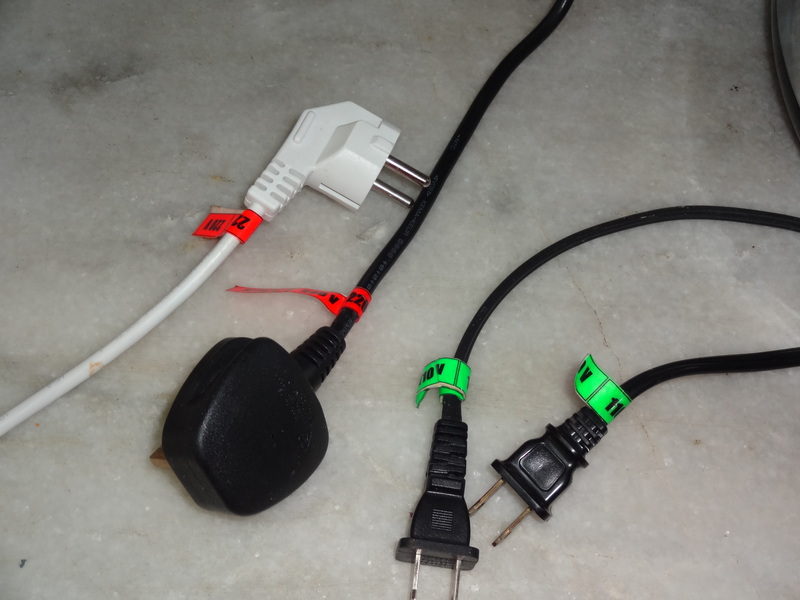 For starters, why not simply change out all the sockets connected to the transformed 110V current to American-type-two-slit-plus-one-round-pin safety sockets? 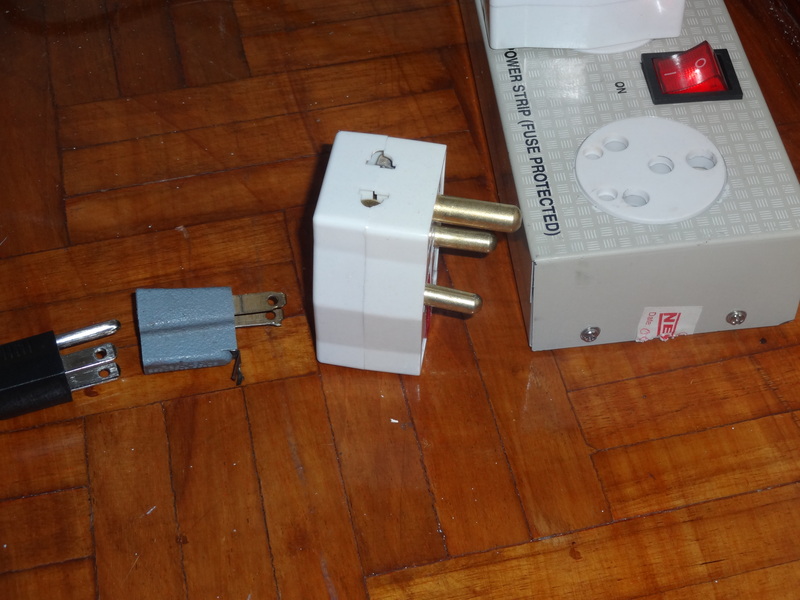 Then put SUKO-only adapters in all the many holed 220V sockets (or change them out too to SUKO) Then cut off all the pesky, bulky English plugs from all the English appliances and replace them with SUKO plugs. A couple of APO deliveries, one Saturday’s work and a good solder iron, and no more confusion. Unfortunately we can’t go around changing landlord property or USG property adapters. 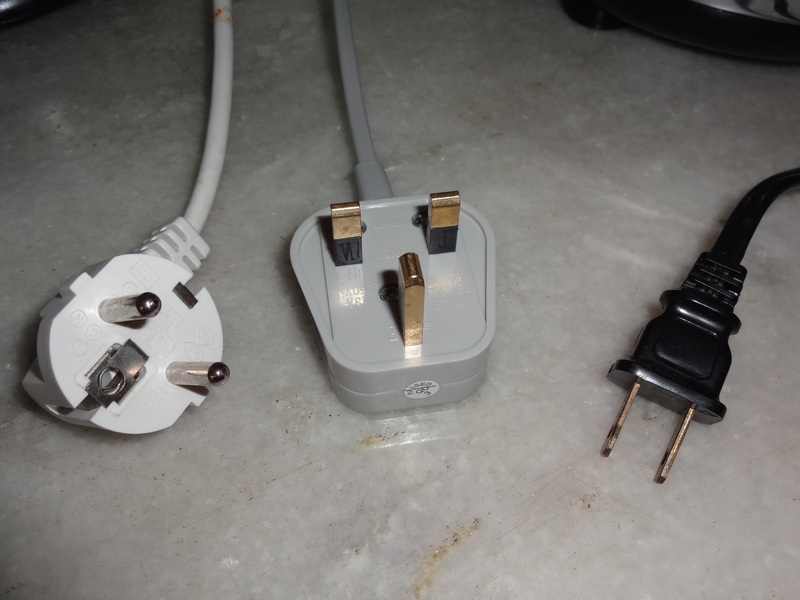 And we don’t want to mess with our English plugs which fit much more universally worldwide into international sockets. Its the American ones that cause the most issues. We are slowly trying to phase out American appliances…but its a process of waiting for them to die out first! I thought Robert was IN CHARGE of all the USG property issues there. Can’t he make an executive decision? 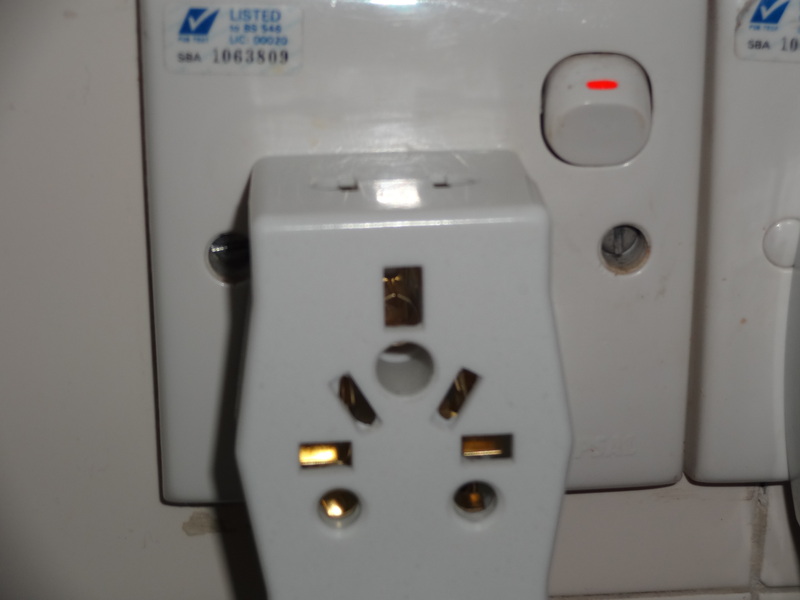 If they transformed down the current to 110v so Americans can use their appliances, surely it would only be sensible to have the right sockets. You may remember we did this in the Iulianou kitchen. But I agree that it makes sense to phase out all US appliances if you never plan to live there again. I am still carting around my heavy Cuisinart with its elaborate set of attachments but rarely use it because I then have to lug the even heavier transformer from the utility room (from where it runs the excellent irreplaceable old Hoover via a 40 meter extension cord) to the kitchen. I am still living in the era where you could only GET good appliances in the US—long gone. Ouch. Hats off to Robert for being able to accept that! 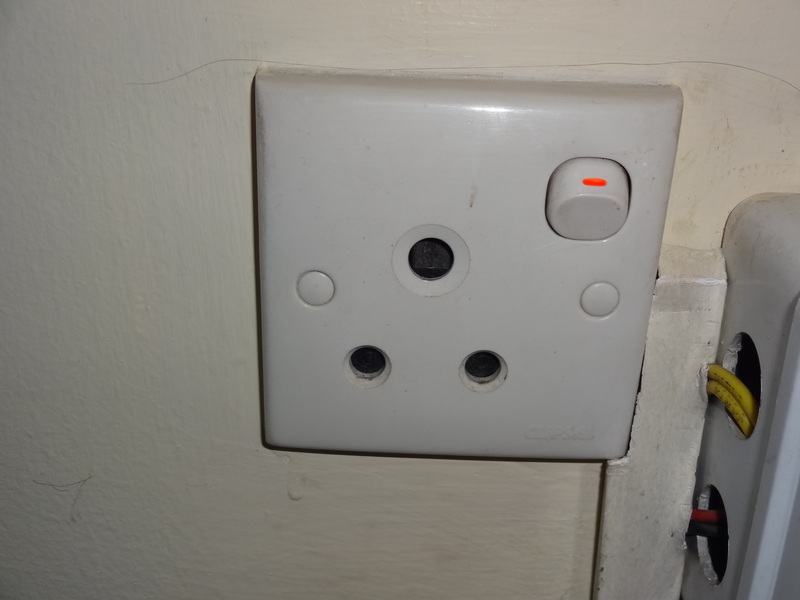 That is a British plug, from the 1940s. 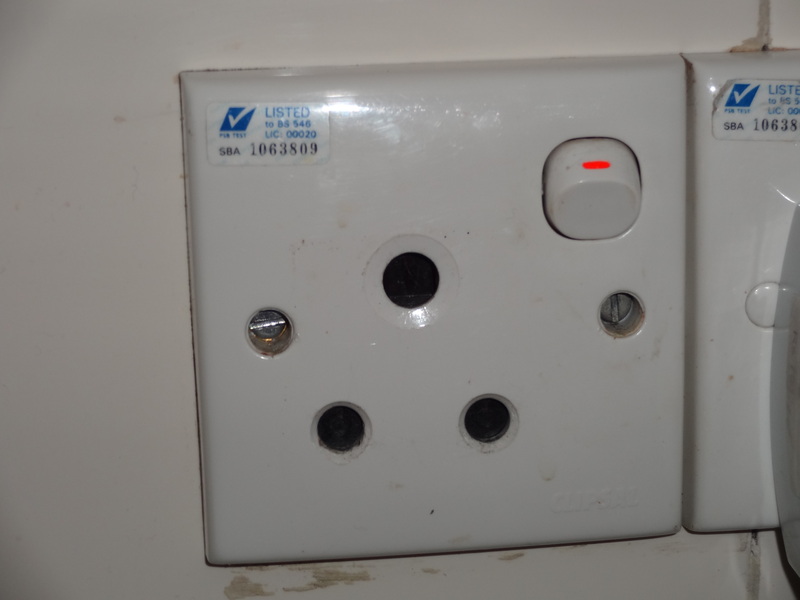 They are still used in 3rd world countries today as the standard plug.